It pains me to think that, in our sport, we are sometimes impudent or critical and ignore or fail to harness the talent that surrounds us. That it is so hard for us to appreciate how the commitment and dedication of some swimmers who choose to enjoy their youth in pool lanes deserve to be recognized as they seek the innocent pleasure of being the best, improving their best times and simply achieving the goals they have always dreamed of. 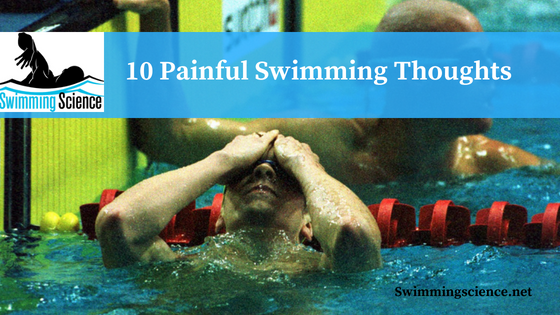 Failing to grasp the diamonds in the rough and being incapable of motivating incredible athletes who give their all to our sport while they swim. The reasons why that happens; technical reasons, a question of age or not paying them enough attention and giving them enough athletic or economic support when they most need it. In certain cases, we tend to demand more than we give, to criticise rather than praise, to spurn rather than respect, and to destroy rather than build. The harmful and unjustified comments – yours and mine, and those of a society that relentlessly punishes any failure when it comes at a bad time and cannot stop over-praising the athletic success and virtue of only a few outstanding athletes, but is incapable of standing by their side when results elude them. That our memory is so short and unable to remember those moments of magic when we all celebrate and instantly accept as our own when some of our boys and girls achieve unimaginable feats of glory, which initially seemed far beyond our reach. Under certain circumstances, certain media and we ourselves use words to disparage an entire athletic career carved from positive attitudes and perseverance simply due to one poor result or a bad season without considering the underlying reasons. Accepting the departure of champions who were once the flagships of our sport, but give up due to a lack of stimulation or because they were unable to find enough inspiration to continue doing what they do best – swim – and who have enormous quality within them to release. Who is so close to us, who we can feel and who still manage to pass unnoticed because of our own demands and priorities, awaiting only the smallest of opportunities to return to the pool and demonstrate the value they hold inside. That they feel disappointed because they expected more from us and, when it was necessary, we were unable to equal their level of enthusiasm or share their sorrow; incapable of finding ways for that not to happen. Wasting the chance to take courageous decisions in pursuit of our own goals – and theirs – due to a lack of flexibility, confidence, laziness and poor empathy, and thus more easily overcome some of those fundamental rights that, in my opinion, they should never go without education, commitment, and excellence. However, what pains and angers me the most is to be a part of all the above, watch on as it happens before our eyes and, even so, fail to do our part in the search for solutions.